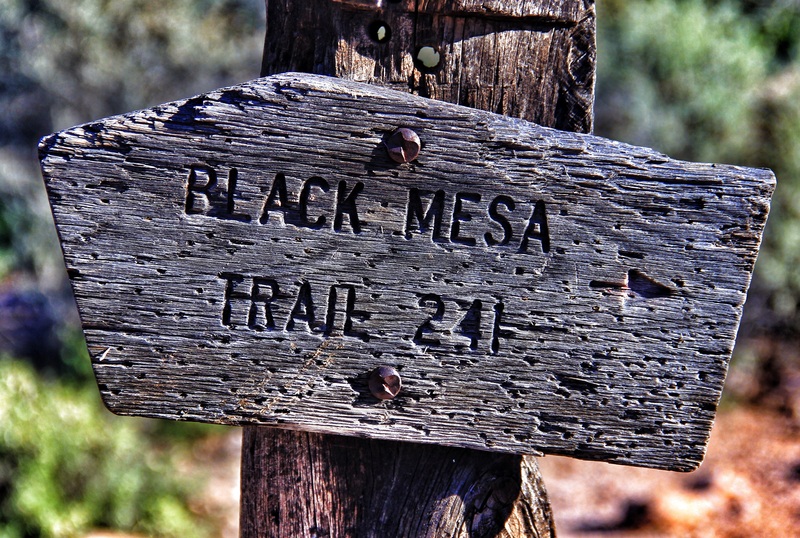 On Friday we hiked the Black Mesa Loop out of First Water trailhead. 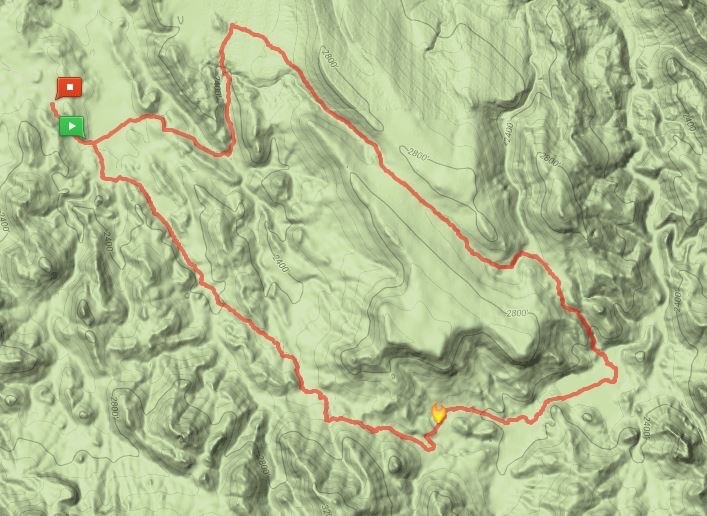 This is stitched-together route consisting of segments of the Second Water trail and the Lost Dutchman trail, connected by the Black Mesa trail to form the loop. My GPS pegged it at 9.74 miles with about 1077 of total elevation gain. 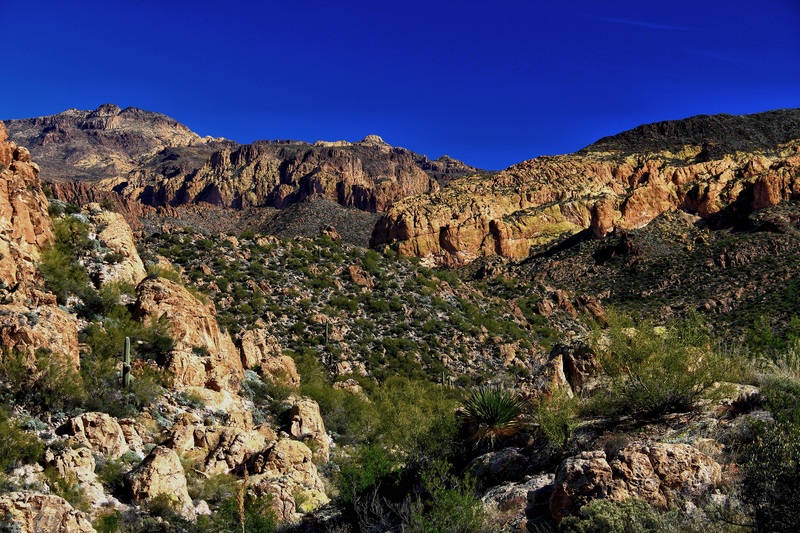 The first segment of the hike is a modest ascent on Second water trail to Garden Valley and the junction with Black Mesa trail. Then another modest ascent to the top of Black Mesa. 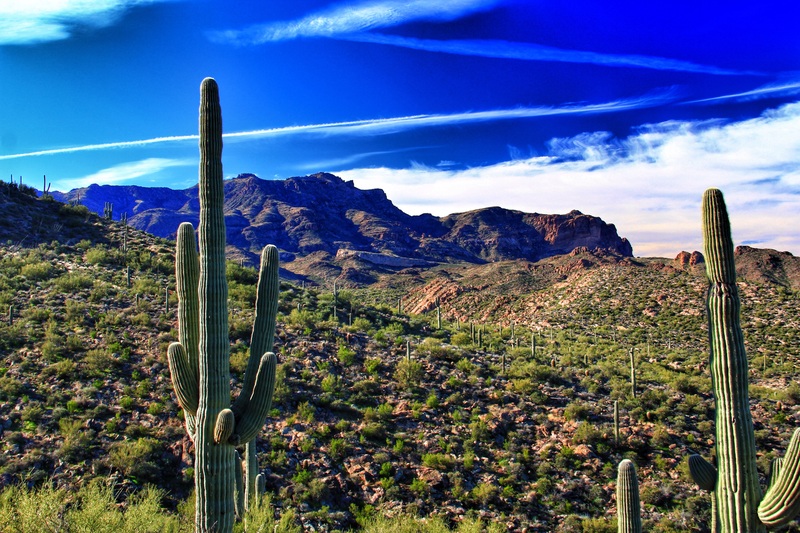 The environment to this point in the hike is fairly open, with great views of the “backside” of the western Superstition to the south, and the Four Peaks wilderness to the north. In the photo below the mountains on the horizon are the Flatiron and environs. The light colored “ramp” in mid-scene is the Massacre Ground overlook. 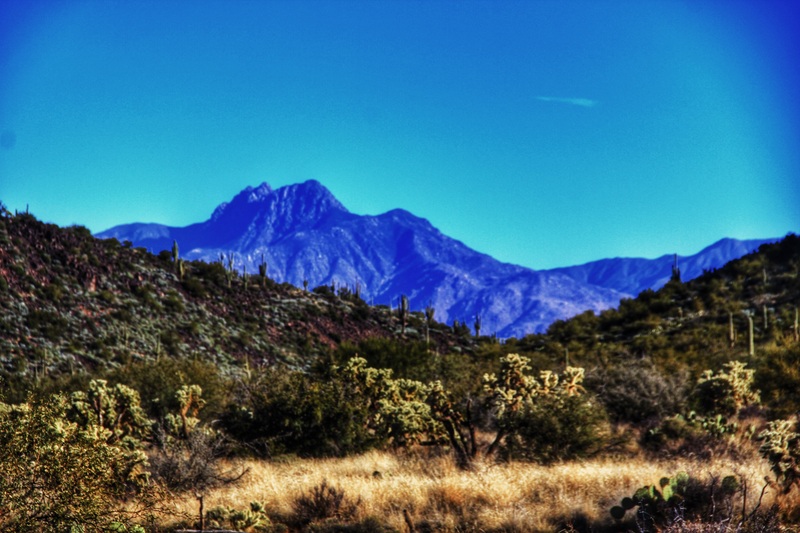 This scene looking northward is towards Four Peaks. And another view towards the Flatiron. The south end of Black Mesa trail drops rather abruptly into a basin at the confluence of West Boulder Canyon and O’Grady Canyon. 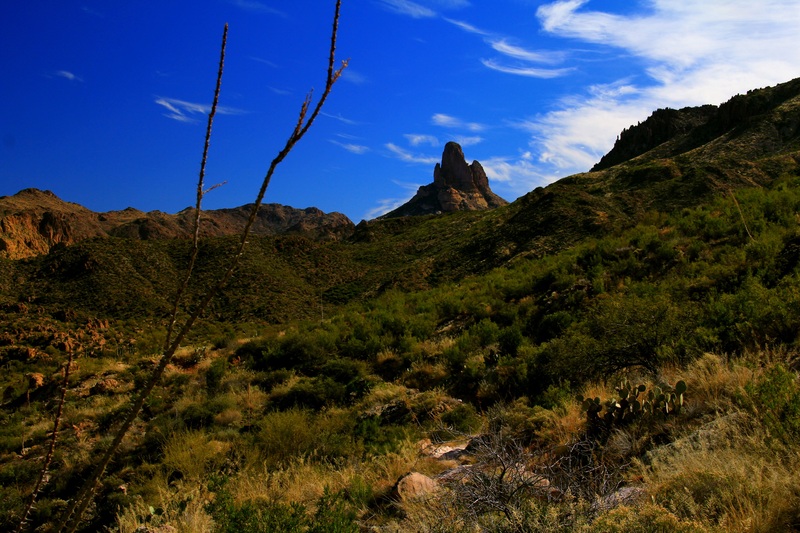 This descent is a favorite spot of mine, yielding an awesome vantage to the interior of the wilderness, guarded by Weavers needle in the distance south. The remainder of the hike is westward through O’Grady Canyon, up over Parker Pass, and back to First Water. The scenery this canyon is reminiscent of John Wayne movies with stark sandstone cliffs, large boulders (watch for Apache ambushes), and big skies. 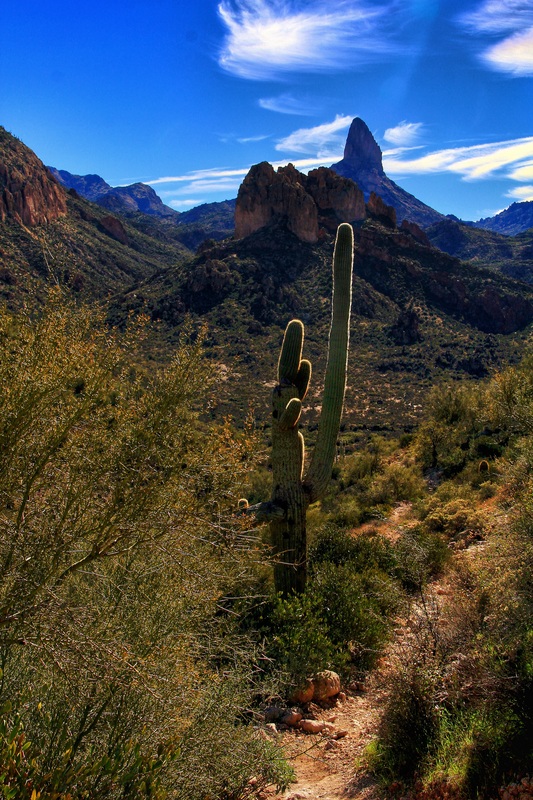 Love the photo of Weaver’s Needle with the lone saguaro in front of it! That was a tricky shot, directly into “high noon” sun. For the first time that I can remember the lens flare actually HELPED an image! 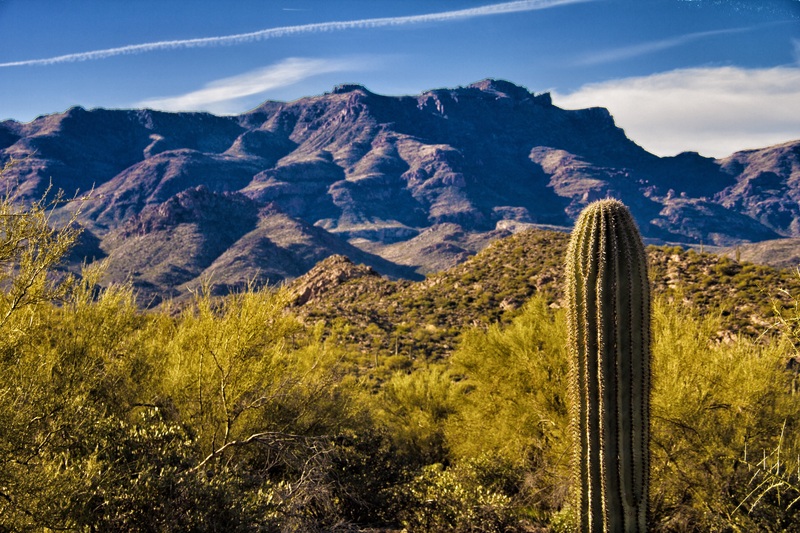 Great pics, we sure miss the hiking there.The History Chn. Story was a bummer,good scenery but wrapped around a made for TV funky story,they can do better. I agree Larry. The TV show is a lame melodrama!